12 Days Myanmar beauty trip with Pink Mountain Treks and Expedition is an extraordinary experience you will have in Myanmar. This gay tour in Myanmar is best for those who are interested in site- seeing, encountering culture and doing variety of activities. A fun filled trip, generally made for a family, this trip will be in your memory, once you have done it. 12 Days Myanmar beauty Trip consists eight beautiful places of Myanmar and that are; YANGON, BAGAN, MANDALAY,HEHO, PINDAYA, KALAW, LOIKAW and INLE. 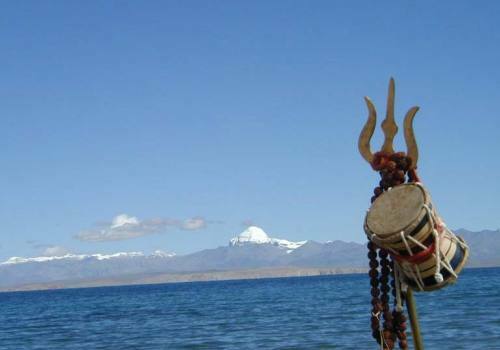 Some of the features of this trip are culture, nature and tribal village. You can see giant reclining Buddha, gorgeous stupas and buildings in rows in Yagon. Bagan has thousands of Stupas and temples. Began offers something for any age group. Craftsmanship and the workshops are the amazing. You will learn more about the rural areas of Myanmar from Bagan. Inle Lake lies as an art surrounded by green Shan hills. Kalaw is rich in plantation and villages of tribal people. Day 1Yangon arrival Your 12 days Myanmar beauty tour starts with a flight to Yangon. At your arrival, Pink Mountain Treks and Expedition's Myanmar airport representative will meet you and drive you to the Hotel. You will start sightseeing later that afternoon. You will have a view of 70m long famous Chaukhtatkyi reclining Buddha. You can see the 18thcentury old colonial buildings left by British in the City centre. One of the wonders of the world the respected Buddhist monument the Shwedagon pagoda will also be visited. This tour will give you a chance to know the people living in Myanmar. We will offer you a welcome dinner with a complementary soft drink in a local restaurant. You will stay that night in the hotel. Day 2Yangon to Bagan After having breakfast at the hotel you will be transferred to the airport for taking a morning flight to Bagan. You will know about the ancient capital and the origin of Myanmar culture there. You will start morning sightseeing from Nyaungo market then you visit the Shwezigon pagoda with later Myanmar Stupas. Among of them the Wet-KyiIn Gubyaukgyi is famous for its fine mural painting; Htilominlo temple has the plaster carving. Ananda temple is the master piece of Greeks. In the afternoon you will attend lacquer ware workshop and at the end of the day a beautiful sunset from the best temple possible. You will have a dinner at a local Restaurant with marionette show. You will spend that overnight in the hotel. Day 4Bagan - Sagaing - Mandalay After having breakfast at the hotel, you will be transferred to the Airport for a flight to Royal Mandalay, after arriving in Mandalay you will have a sightseeing of ancient capital Sagaing that is famous for its dotted temples, Stupas and Pagodas. You will have a visit to thesagaing hill. In the afternoon you will travel to a silver workshop. You will then drive back to Mandalay. You will have an afternoon sightseeing of the Shwekyaung monastery which is a perfect example of wood carving. 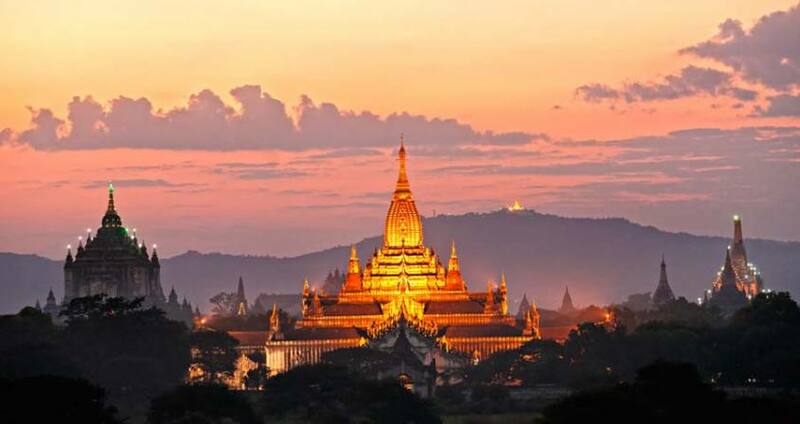 Then comes the Mandalay hill,You will dine in a local restaurant and stay that night in the hotel. Day 5Mandalay-Mingun-Amarapura After having breakfast at hotel, you will have a full day sightseeing with excursion to MINGUN that is located on the bank of Ayarwaddy River by a private boat. Once you arrive to Mingun, you will visit Settawya Pagoda that contains a marble footprint of Buddha. Other attractions are Pondawayaphaya, Mingun Pahtotawgyian - one of the world's largest unfinished pagodas, the largest bell in the world the Mingun bell weighing 90 tons. Your tour that day will end with a visit to the Sinphyume Pagoda. After that you will return back. That day in the afternoon you will drive to the 17th century old U Bein wooden bridge located at Amarapura. You will take a boat ride at the bridge. You will dine in a local restaurant and spend that night in hotel. Day 6Mandalay-Heho-Pindaya-Kalaw After having breakfast at hotel, you will be transferred to airport for taking a flight to Heho in Shan state. After arriving at Heho you will drive for about 2 hours to a small beautiful town perched on the bank of the Botolokelake. You will then visit Pindaya cave - a huge carver with hundreds of Buddha images in various size and shaped installed since the 11th century. In the afternoon you will visit Small Shan umbrella factory & Shan paper. Finally you will depart for Kalaw. You will stay that night in a hotel at Kalaw. Day 7Kalaw-Loikaw After having breakfast at hotel, you will drive for about 6 hours to reach Loikaw. The way to Loikaw is rich in beautiful scenery of Shanstate, plantation, villages of tribal people. After arriving Loikaw, you will check into the hotel. You will have dinner in the same hotel and spend that night in the hotel. Day 8Loikaw-Panpae Village After having breakfast at hotel you will visit colorful market of Padaung tribe if it is the market day. Then you will proceed to Panpae village to for exploring Padaung local houses and cultural museum of Padaung tribe. After that you will drive back to hotel. You will have the dinner in the hotel and spend that night there. Day 9Loikaw -Phaekhon-Inle After having breakfast at hotel you will drive for one and half hour to reach PhaeKhone by a private car. You will visit a famous archeological site of Inle i.e. Sagar. You will spend that night in the hotel. Day 10Inle After having breakfast at hotel, you will have a morning sightseeing by a private boat to the PhaungDawOo Pagoda, floating gardens of tomatoes, leg rower, Ngaphae Chaung monastery. You will have lunch at local restaurant. After lunch you will visit the traditional cheroot (Cigars) and blacksmith workshop. In the central village of Ywama you will visit the Shan paper workshop. You will stay that night in a hotel. Day 11Inle-Yangon After having breakfast at hotel, you will be transferred to Heho to take the flight back to Yangon.You will have a half day sightseeing of Sule pagoda and Bogyoke market, port of Yangon, and China town . You will have the dinner at karaweik palace restaurant with Myanmar traditional dance and music. You will stay that night in the hotel. Day 12Departure day After having breakfast at the hotel, you will be transferred to airport for an international flight. This will be the end of our service.